In 2019, our popular app game Pick 'em returns! Pick 'em gives fans the opportunity to lock in match predictions each round, with weekly prizes up for grabs. Questions are released in the lead up to each match and during our games - the difficulty has increased this year! Weekly prizes are up for grabs - so make sure you pick wisely! 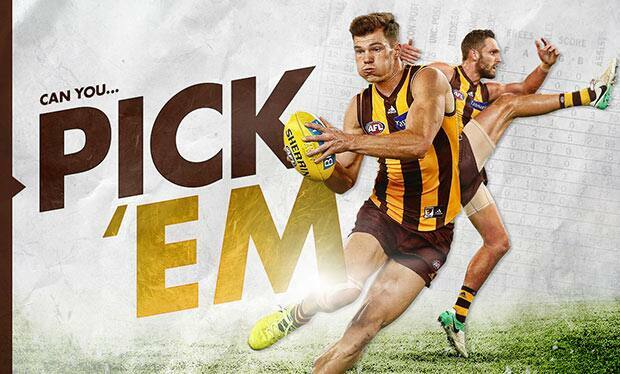 To play, simply download the Official Hawthorn Football Club app from your app store or GooglePlay store. Users must be logged in with their MyHawks account or Telstra account to access the feature. Don't have a MyHawks account? It's free to sign up and you receive exclusive offers, features and discounts in the app! You can create a MyHawks account in the app.